The black X-large Ku-Hand Gloves from KUPO not only provide secure use during various stage, rigging and theatrical functions but are also comfortable to wear. These heat-resistant leather gloves feature breathability on the top through a padded mesh construction. 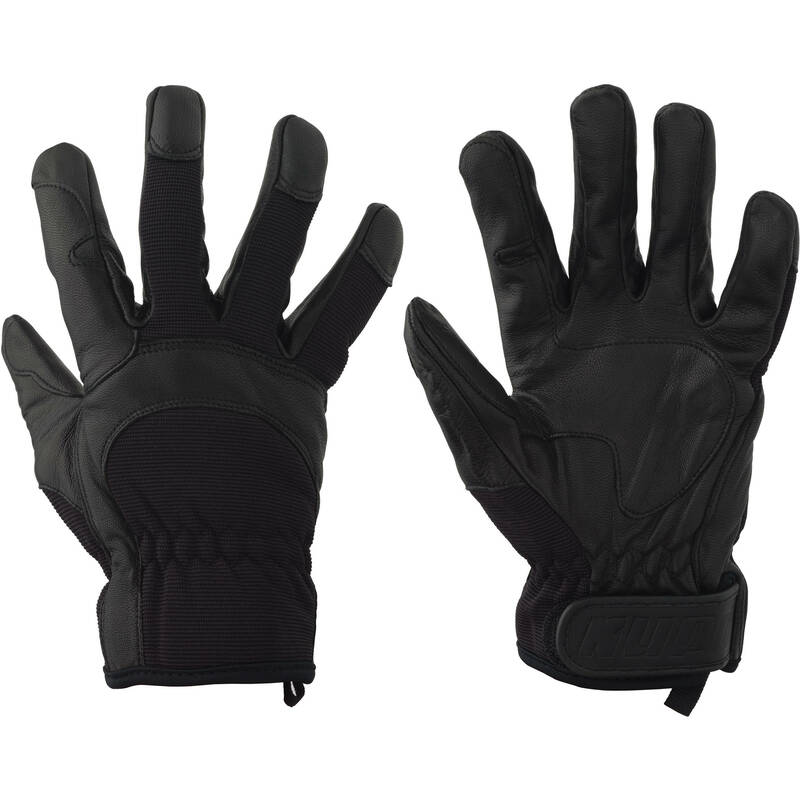 An additional layer of protection is provided not only on the synthetic leather palm but on the index finger and thumb. The fingers are designed with a smooth surface that make gripping objects easy while also extending the life of the glove since the surface and reinforced finger tips reduce wear and tear. Box Dimensions (LxWxH) 11.5 x 5.5 x 0.9"